Collar: Small 11-15" Collar: Large 18-25"
The side-release buckles are strong but easy to put on and take off. The D-ring is solid brass and won't rust or chip. 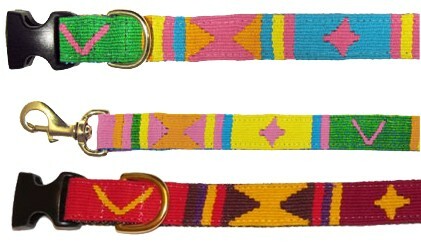 The collars and leads are colorfast and are machine washable, but please hang to dry.